Want Perfect Pitch? You Might Be Able To Pop A Pill For That A Harvard study says a drug normally used as a mood stabilizer might allow adults with no musical experience to learn perfect pitch. Jazz singer Ella Fitzergerald was said to have perfect pitch. In the world of music, there is no more remarkable gift than having perfect pitch. 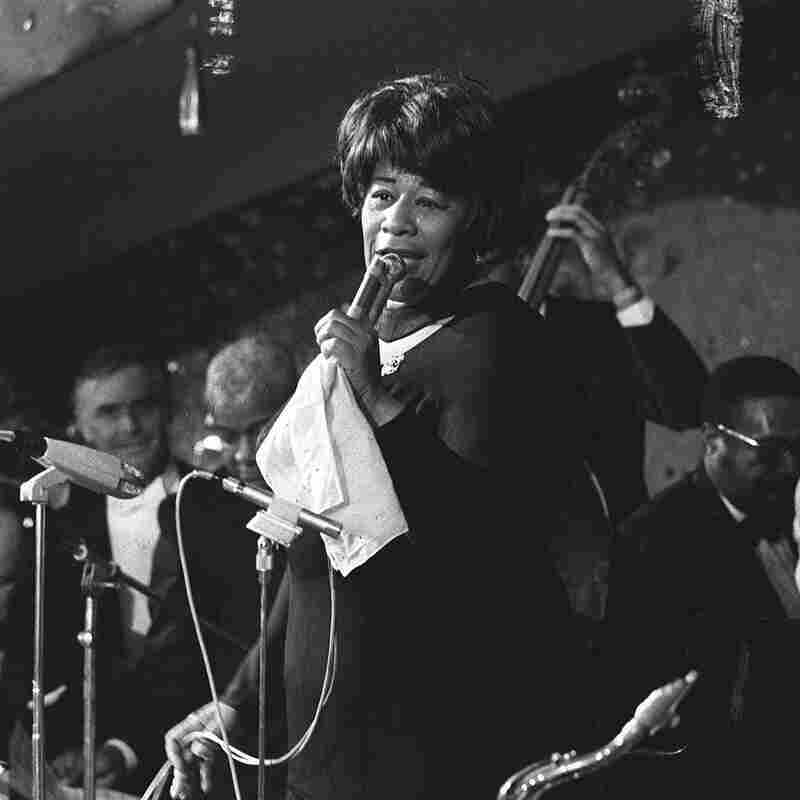 As the story goes, Ella Fitzgerald's band would use her perfect pitch to tune their instruments. Although it has a genetic component, most believe that perfect pitch — or absolute pitch — is a primarily a function of early life exposure and training in music, says Takao Hensch, professor of molecular and cellular biology at Harvard. Hensch is studying a drug which might allow adults to learn perfect pitch by re-creating this critical period in brain development. Hensch says the drug, valproic acid, allows the brain to absorb new information as easily as it did before age 7. "It's a mood-stabilizing drug, but we found that it also restores the plasticity of the brain to a juvenile state," Hensch tells NPR's Linda Wertheimer. Hensch gave the drug to a group of healthy, young men who had no musical training as children. They were asked to perform tasks online to train their ears, and at the end of a two-week period, tested on their ability to discriminate tone, to see if the training had more effect than it normally would at their age. In other words, he gave people a pill and then taught them to have perfect pitch. The findings are significant: "It's quite remarkable since there are no known reports of adults acquiring absolute pitch," he says. There are a number of examples of critical-period type development, language being one of the most obvious ones. So the idea here was, could we come up with a way that would reopen plasticity, [and] paired with the appropriate training, allow adult brains to become young again? I think we are getting closer to this day, because we are able to understand at greater cellular detail how the brain changes throughout development. But I should caution that critical periods have evolved for a reason, and it is a process that one probably would not want to tamper with carelessly. If we've shaped our identities through development, through a critical period, and have matched our brain to the environment in which we were raised --acquiring language, culture, identity — then if we were to erase that by reopening the critical period, we run quite a risk as well.